Perhaps the rarest topaz known, and certainly among the most coveted, imperial topaz possesses a unique color combination that simply defies comparison. 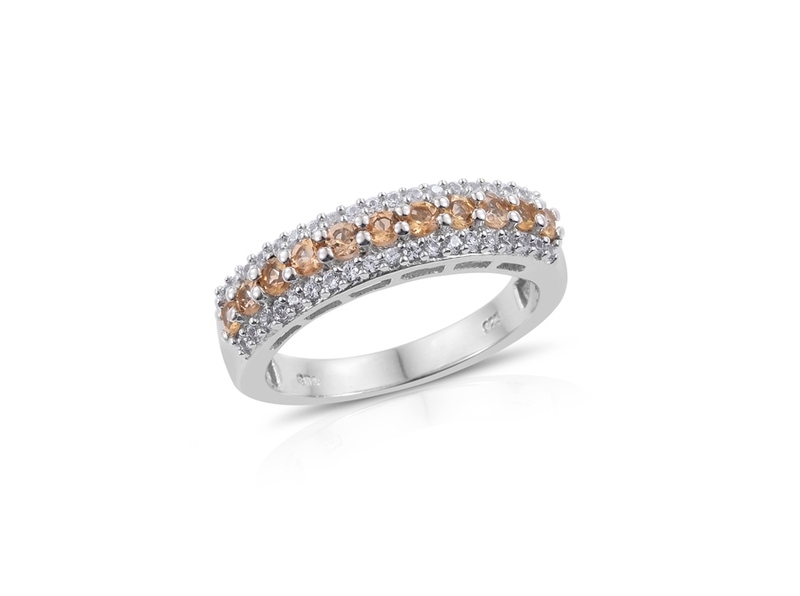 Topaz gemstones exist in a fun and exciting variety of colors. From warm yellows, oranges and reds, through chilling blues, and even mystical and mystifying rainbow combinations, few gems are known for their exhaustive selection. One topaz stands apart from the rest, however. Imperial topaz represents a variety of gem rarely seen elsewhere, and there simply is nothing that compares. Imperial topaz occurs within a tight spectrum of acceptable hues. However, as with many gems, there are differences of opinions between experts from time-to-time. The majority of topaz that's considered imperial topaz has a body color between yellow and orange. More importantly, reddish undertones should be present. These additional reds show as the result of pleochroism. Simply put, many gems can display other instances of color when viewed from a particular angle. For imperial topaz, this color results in fiery flashes of red across the body of the gem, as if it were bathed in licking flames. Less often, imperial topaz is defined as intensely saturated yellow to orange, or even pink gemstones. In all of these varieties, it's the presence of trace amounts of chromium that provide imperial topaz its stunning and unique hues. Topaz gems are popular not only for their variety of color but also their extreme clarity. Topaz jewelry rarely shows eye-visible inclusions. When they are present, magnification is typically required to view them. A very hard gem, topaz ranks eight on the Mohs scale of hardness. In fact, it is the definitive gem for this category, placing it below the corundum ruby and sapphire who represent rank nine, and diamond, which defines ten – the top of the scale. The hardness of imperial topaz means that it is nicely resistant to scratches and abrasions. On the other hand, topaz has a tendency to cleave. This means that the stone can chip or break if struck at the correct angle. Imperial topaz has a perfect cleavage ranking, which means that it is the easiest to split. Well aware of this, cutters frequently orient the gem so that its cleavage plane is angled away from areas that are likely to come in contact with surfaces during wear. This helps protect it against potential breaks. 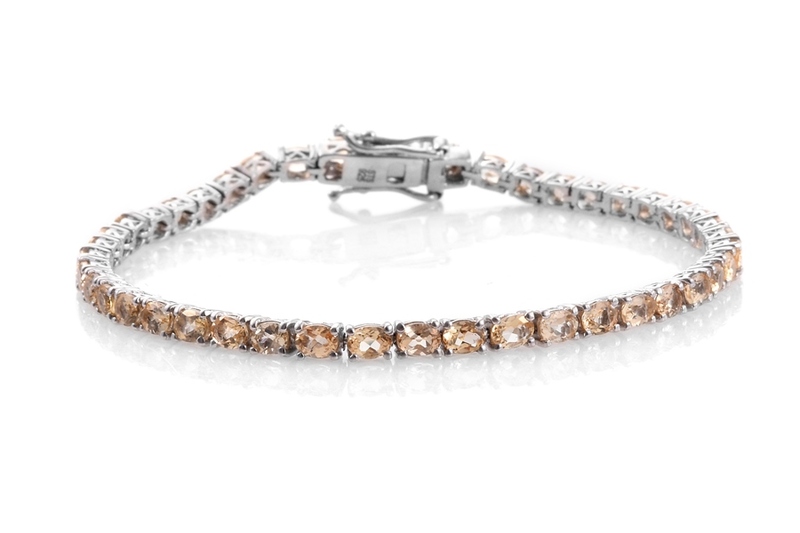 Imperial topaz is perfectly safe to wear in jewelry and can be found in all sorts of intriguing pieces. It's easy to care for, and only needs occasional scrubbing with lukewarm water, a soft bristle brush, and mild dish washing soap to keep it clean. Rinse with cool water. Dry with a soft, clean cloth. Due to its known cleavage, don't use ultrasonic or steam cleaners. They can cause irreversible damage to the stone. It's best to assume that all imperial topaz is heat-treated to improve its color. The treatment method is practically undetectable and very stable. • The earliest records of imperial topaz can be traced back to 1768. Specimens found in Brazil were presented at Portugal's royal court. It is also commonly believed that imperial topaz traces its name back to this moment, as it is thought to be named in honor of Imperial Portugal. Alternately, another story tells about a pinkish topaz round in Russia during the 19th century. As ownership of this precious jewel was restricted to only the Czar and his family, it came to be known as imperial topaz. • Likely, the Brazilian origin of the name is correct, as Ouro Preto continues to produce the finest examples of what we consider imperial topaz to this day. • As to the root of the word topaz, this is also some confusion and debate. Many have attributed the name to Pliny's description of the island Topazos (sometimes Topazios), an Arabic island in the Red Sea. In antiquity, the legendary location was frequently shrouded in fog, and the Greek roots of this name mean "to guess," alluding to the difficulty in finding it. However, only what we know as peridot was found here. Much medieval literature frequently confuses modern topaz and peridot, resulting in this commonly repeated tale. • A more commonly accepted explanation for topaz's name has Sanskrit roots. In Sanskrit, the word topas (sometimes tapaz) translates to "fire." This makes more sense, considering the stones known and described at this time were orange to red in color and would have certainly possessed a fiery appearance. Is Imperial Topaz a Birthstone? 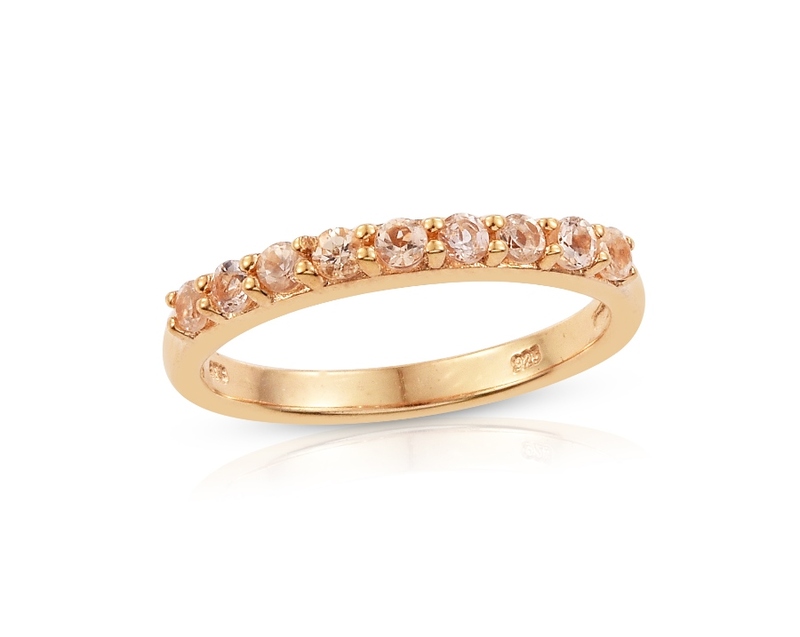 • There are two birthstones for November – citrine and topaz. 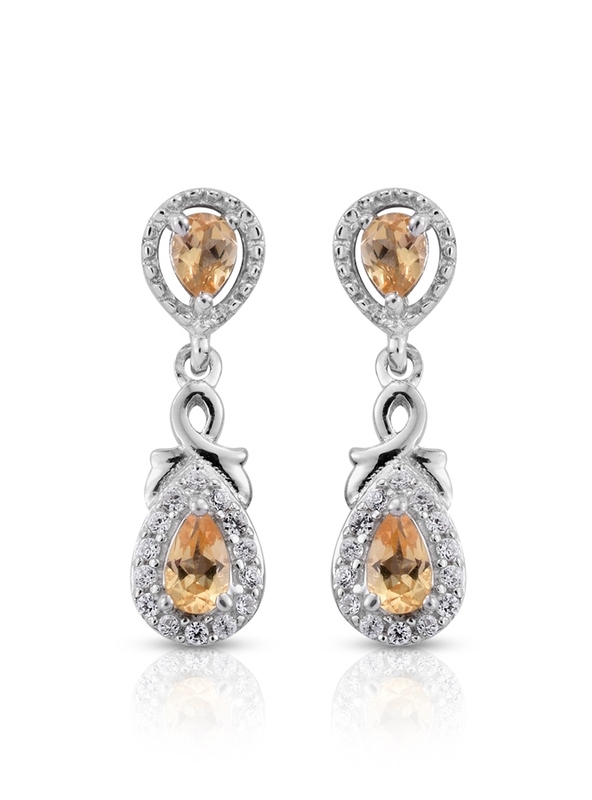 Imperial topaz makes an exciting addition to this selection, providing a warm option for someone looking beyond yellow. Topaz has roots as November's birthstone traceable to the 15th century, where the tradition of wearing a stone associated with a birth month was growing in popularity with the nobility of the time. The popularity of the gem has stood the test of time, being incorporated into the modern birthstone list developed in the early 20th century. • Topaz is also considered to be the gemstone associated with the tropical zodiac sign Sagittarius. Sagittarians are those born between November 21st through December 21st. Worldwide, only two localities are known for imperial topaz: Brazil and Russia. Each country produces excellent examples of this gem that anyone would be proud to own. Shop LC sources our imperial topaz supply from Brazil, specifically the Ouro Preto region of Minas Gerais. Situated in southern Minas Gerais, Ouro Preto is well-known for the variety of gems it produces. 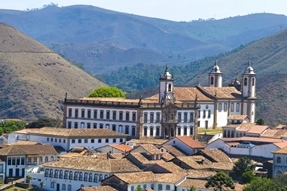 Ouro Preto was originally founded during the Brazilian gold rush during Portuguese occupation. However, imperial topaz remains its most famous contribution, ever since its discovery in the mid-18th century. Only a small amount of rough is produced each year, making competition for imperial topaz incredibly fierce. Luckily, Shop LC has developed a strong network of relationships within the industry, allowing us to secure this fabulous gemstone. Mining imperial topaz is not an easy task. Due to the rarity, many hundreds of pounds of rock and earth have to be shifted to find rough. A combination of traditional and technical methods is employed in extracting this stone. Construction vehicles clear land to start pits for mining. Rock and gravel are pass through sluices for sorting. These machines wash and sort material mechanically, separating waste material from gem rough. Final grading and sorting happen by hand. More than most gems, careful consideration must be paid when cutting and polishing imperial topaz rough. A stone's final yield is perhaps the most important factor in shaping the jewel, as bigger stones fetch a better price. For this reason, ovals and pears are very popular. These forms retain the most material, but from a visual perspective, they also provide the appearance of a much larger stone! Ranks eight on the Mohs scale. Imperial topaz is yellow to orange in color, with red undertones. Sourced from Ouro Preto, Minas Gerais, Brazil. Heat treated to improve color.